The biggest film related event in Poland, the New Horizons International Film Festival will be returning to Wroclaw from July 24 until August 3. 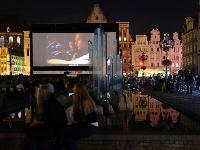 This year will mark the ninth anniversary of the European Capital of Culture 2016 hosting the event, which will see some 365 films shown, many of them on a screen in the city s postcard pretty medieval Market Square. 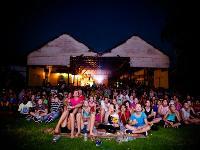 Officially the oldest dedicated picture garden in the world, Broome in Ozs Kimberley region orginated more than a century ago, when it screened a silent film (Kissing Cup) to 500 cinemagoers. Because of its coastal location, the cinema was prone to flooding in those early days, something patrons took in their stride by simply lifting their feet while the movie continued, allowing the tide to gurgle in. 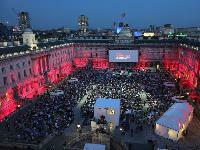 Surrounded by the splendid Palladian masterpiece that is Somerset House, the grand courtyard with its 55 dancing fountains makes for the most elegant setting of any open air cinema in the UK. Returning on August 7 for 14 nights, Film4 is celebrating the 10th anniversary of its Summer Screen at Somerset House this year with a brilliant line up of classic, cult and contemporary cinema. 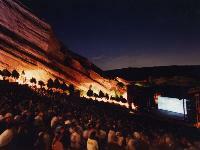 A striking natural amphitheatre framed by two 300ft sandstone sentries that provide acoustic perfection, the Red Rocks Amphitheatre boasts all the cinematic drama any open air film house can ask for. Little wonder then that the annual outdoor Film on the Rocks series is usually packed during the eight films screened here over the summer months. Eat your heart out couple couches hot tubs are the way of the future. At least according to the Hot Tub Cinema. 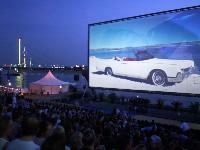 Returning to Rockwell House rooftop in the heart of Shoreditch, the unique open air cinema experience will be screening a number of cult classics during July including Dirty Dancing and The Breakfast Club while patrons enjoy the spectacle from the bubbly confines of a six person hot tub. 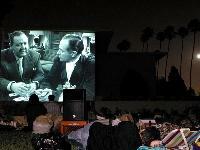 Surely no cinema setting can be more noir than a cemetery For those bravehearts keen on a haunted cinema location, look no further than the Hollywood Forever Cemetery. Here, those unafraid of the dark can indulge in classics such as Blue Velvet and A Clockwork Orange every weekend during the summer, while sitting on their picnic blanky between the final resting places of countless Hollywood luminaries. Happy screaming! Not only does the St George cinema give Sydney movie buffs a view of some of the best film classics, it also boasts the most scenic city views of our open air shortlist. 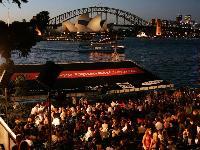 Before the flick begins, the screen is in its lowered position to give patrons a chance to take in uninterrupted views of the iconic Sydney Opera House, Harbour Bridge and Sydney harbour. California s Hill Valley is coming to London from July 24 to August 31 for the biggest and most immersive cinema experience of the summer when the 80s classic Back to the Future is given the full on Secret Cinema treatment. 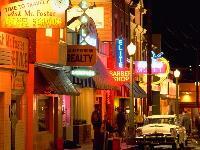 As in previous years, actors and a dedicated film set will help bring the film to life at a secret location at this unique cinematic experience, where the preamble is as much part of the fun as the film itself. More than 20 films are lined up to be screened at Guernsey s outdoor cinema this summer, and best of all, it s completely free. 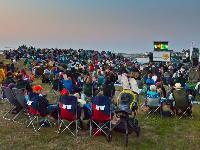 Returning to the picturesque Cobo Bay from 19 to 25 August, the open air cinema caters for younger viewers in the early afternoon with films that include firm favourites such as Despicable Me and Frozen, while adult visitors are catered for later in the evening.